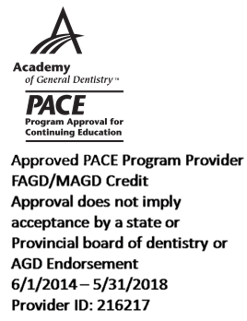 Parsa T. Zadeh DDS, FICOI, MAGD, Dental Evolutions, Inc.
Full refunds will be granted if written requests are received by the AGD by June 12, 2017. Cancellation requests received less than 30 days prior to the first official day of the annual meeting, with the exception of AGD member dentist registrants who have been elevated to delegate or alternate delegate status, will not be eligible for a credit or refund. All cancellations will be processed within 60 days after AGD2017. Email your requests to courses@agd.org, or fax it to (312) 440-0513 Attn: AGD2017 Courses.